The Mona Lisa is, without a doubt, the most famous image in art history, (the most famous does not imply that it is the best). We have become familiar with the image on postcards, advertisements and copies in various forms, some are faithful reproductions, others are not. I have even seen a dog's head superimposed on the painting and the image is so well known that it is instantly recognisable, even after such distortions. Please try to look at this image with fresh eyes! The wife of a Florentine official Mona Lisa was not a famous beauty or even a lady of any great note, but in 1502 Leonardo painted a portrait that is more alive than anything that had been seen previously. Leonardo has achieved his masterpiece by leaving something to the imagination. The outline is not firmly drawn and is softened almost merging with the background and the colours are mellowed, this also allows the forms to merge with each other. This harmonious invention of Leonardo's has been given the Italian name 'sfumato'. Leonardo knew more about the workings of nature than anyone who had lived before him and that the eye does not see everything with crystal clarity at every glance. The Mona Lisa can look different each time we look at her. Our eyes fill in the vagueness of her face and the image is harmonised by the skill of an artist and scientist who has fully utilised his knowledge to produce a masterpiece of Western Art. This detail highlights the subtle nature of Leonardo's sfumato effects. It does not explain the fascination with the Mona Lisa's smile, or the speculation and theories surrounding the painting. The Mona Lisa is thought to be Lisa Gherardini, the wife of the Florentine silk merchant Francesco del Giocondo. 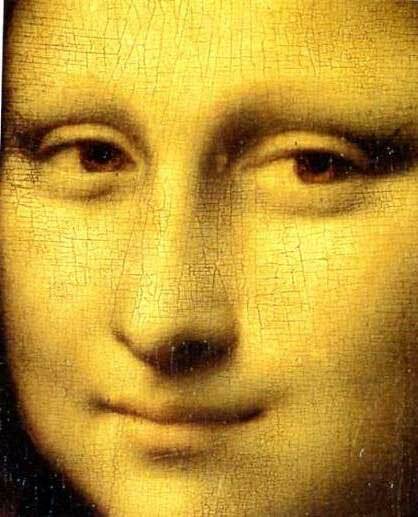 According to Vasari, Leonardo employed singers and bell ringers and other entertainers to keep Lisa amused while he was painting her, hence the smile. 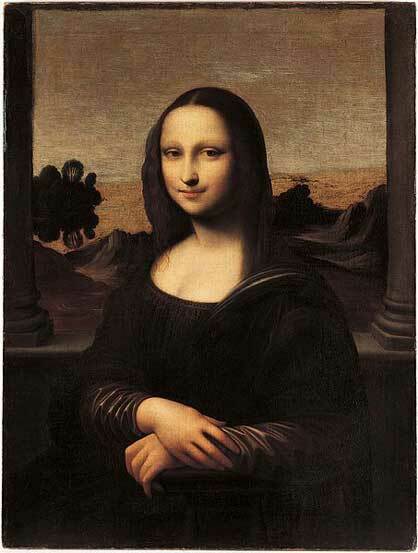 Others have claimed that the smile evolved during the years that Leonardo reworked the painting. We will probably never really know the truth about any of these claims and in a way it does not matter, we need only to study the details of the painting to be assured of Leonardo's genius. 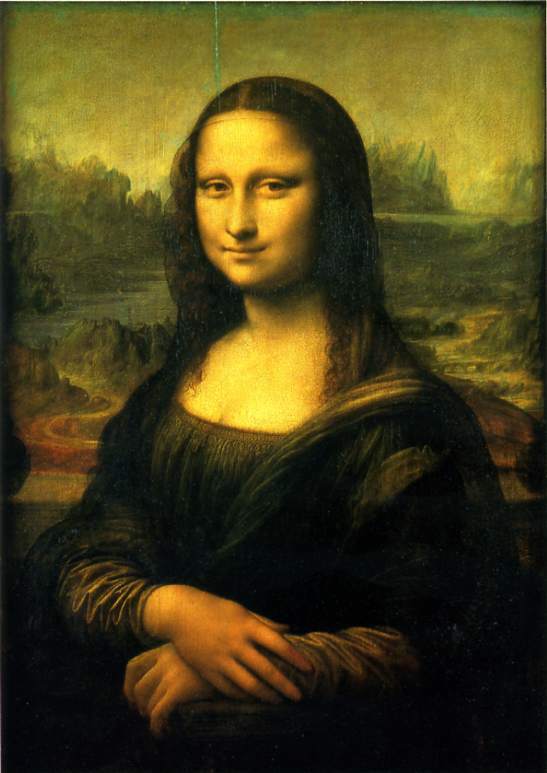 The painting above, the so-called Isleworth Mona Lisa, is claimed to be an earlier version painted by Leonardo. The fact that it displays none of the subtlety of Leonardo's style and is painted on canvass (da Vinci painted on wooden panels) has not stopped the vested interest bandwagon from claiming that it was, at least in part, painted by da Vinci. A blog by Jonathan Jones of the Guardian cleverly expands on the contradictions that the media place on the great artist's work.